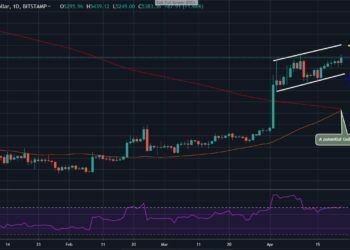 Bitcoin – The Bulls Are Not Giving Up on $5500, Will It Break? In the past weeks, ADAUSD and ADABTC have been following same direction. Both markets are likely to witness a reverse any time from now if the bulls failed to defensively hold price above the trend line. 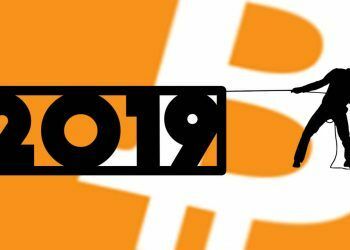 As of the time of writing, Cardano holds a market cap valuation of $1.297 billion with -0.3% gain in the last 24- hours. 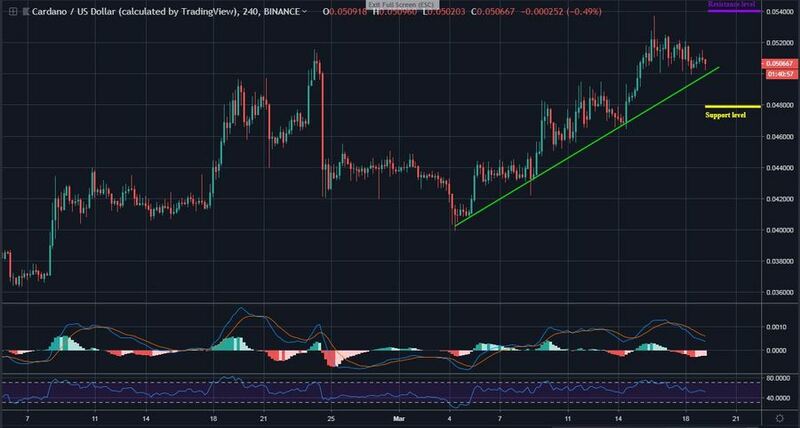 After late February decline, Cardano had resumed back an uptrend early this month on a higher high, higher low pattern; respecting the green trend line. Today, a retracement move has reached the base of the trend line; as revealed on the 4-hours MACD. 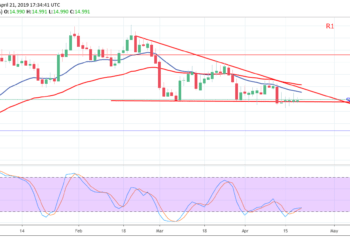 A possible bounce up is expected to fly the token to $0.054 resistance. However, ADA is currently trading around at $0.05 price level. A look at the 4-hours RSI suggests price lying at the 50 line – a reverse level for ADA since the recent rise-up. Breaking down MACD zero level and the RSI 50 line could drop price to support at $0.048 and beyond, below the green trend line. In case such a scenario occurs, a bearish play out is confirmed. But as of now, the bulls are still holding up positions. 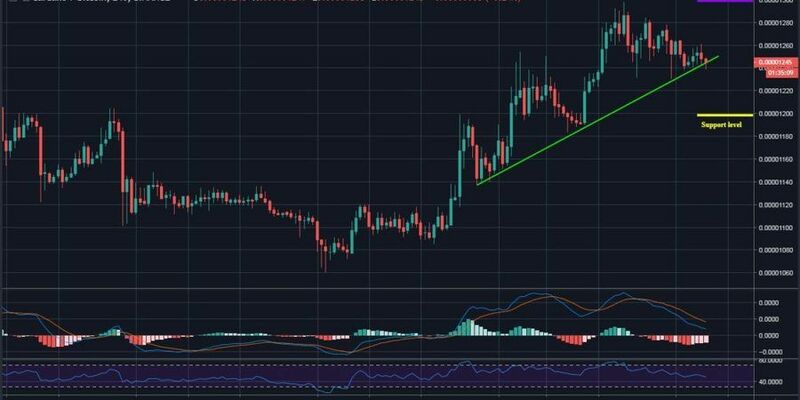 Against Bitcoin, Cardano had gained 25% in the past weeks after a medium-term bullish momentum; respecting the green trend line. Having recorded a monthly high at 1290 SAT, a swing low is now sitting on the trend line. In fact, the price action attempts to break-low. The hourly RSI lies at 50 line as the hourly MACD faces zero level. Crossing down the green trend line could slump price to 120 SAT support and beyond; positioning the market in a bearish. If a drop failed, however, an upward rally is likely to retest 1300 SAT resistance area. A further surge at this area would confirm another bull-run. 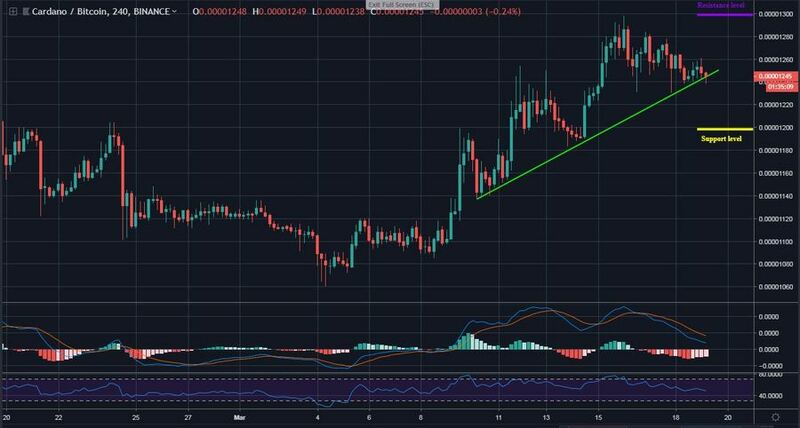 Nevertheless, ADA is still maintaining a bullish trend as traders wait for the next signal. Please note: FXtimes.com is not a financial advisor. Do your own research before investing your funds in any financial asset or presented product or event. We are not responsible for your investing results. 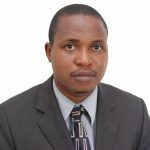 Azeez Mustapha is a technical analyst, has many years of trading experience in the stock exchange and the crypto markets. He has broad experience in Forex trading, coaching, and funds management.